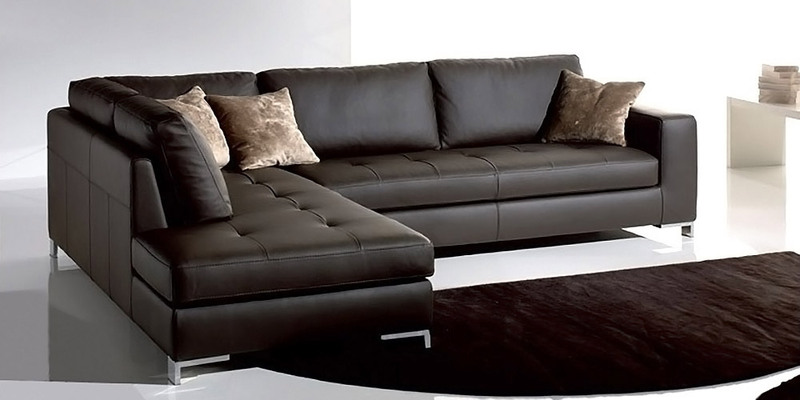 A leather sofa or corner suite with polished stainless steel feet. Original design of the seats with double stitched square pattern. Shortened backrest of the corner suite provides an extra sitting space. 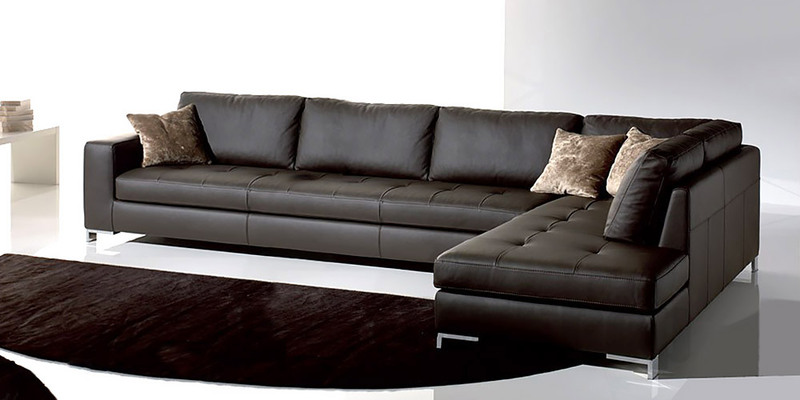 A perfect choice for a neo-classical living room.